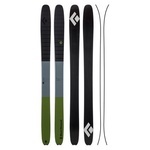 A limited-edition ski designed with feedback from our pro athlete team, the Boundary Pro 115 is a wide-waisted freeride powder ski with a modern rockered profile and powerful, torsionally stiff construction—perfect for B.C. pillow lines, deep resort laps or big Alaskan spines. A tuned-up, limited edition of our Boundary 115 built to satisfy the needs of our hard-charging pro athlete team, the Boundary Pro 115 is built for those who want to take playful, deep-snow performance to steep, aggressive lines around the world. 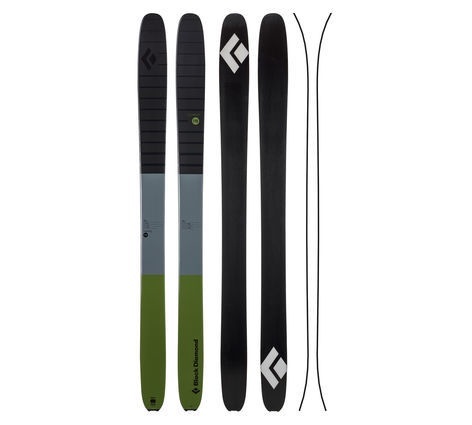 For skiers who loved the AMPerage or the original Boundary 115, the Boundary Pro provides the same modern rockered profile and fun responsive performance, with a flat, solid-core construction for added torsional stiffness. This pro upgrade equates to more powerful turning, improved edge-to-edge response and increased stability on cliff drops, pillow lines and high-speed trips through the white room. Austrian-made with pre-preg fiberglass and a poplar wood core, the Boundary Pro 115 not only rips the biggest lines out there, but it does it with style. 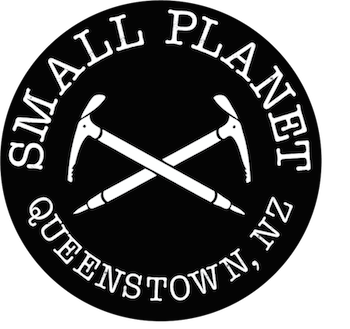 Small Planet is one of the few remaining stores in Queenstown and perhaps the world, that holds soul. By that, we mean it has character, stories, essence and meaning far beyond that of simply selling product. The shop is a hub and meeting point for the real mountaineers, climbers, guides, pros and all-round dirtbags that dedicate their lives to the mountains and design their lifestyles around being in the mountains as much as possible.